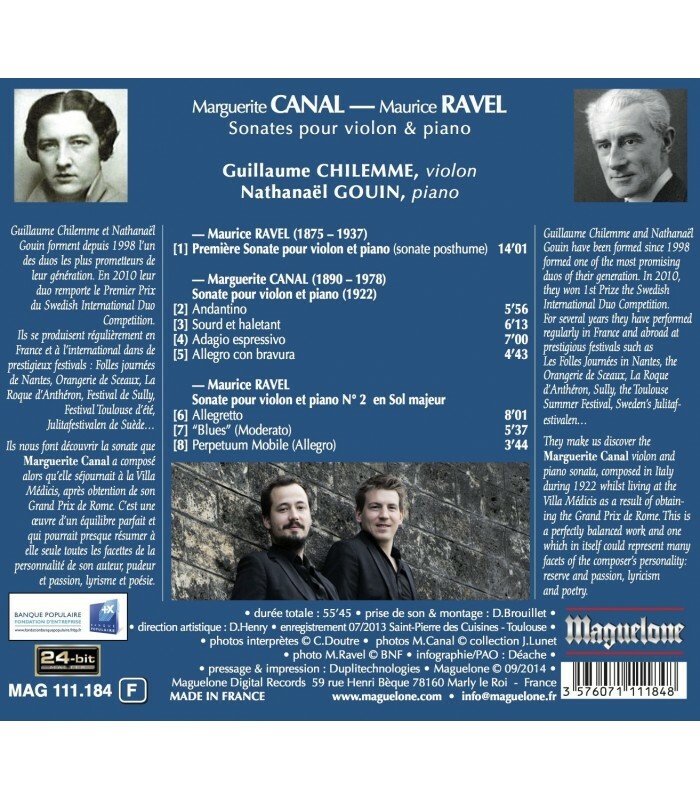 Guillaume Chilemme and Nathanael Gouin have been formed since 1998 one of the most promising duos of their generation. 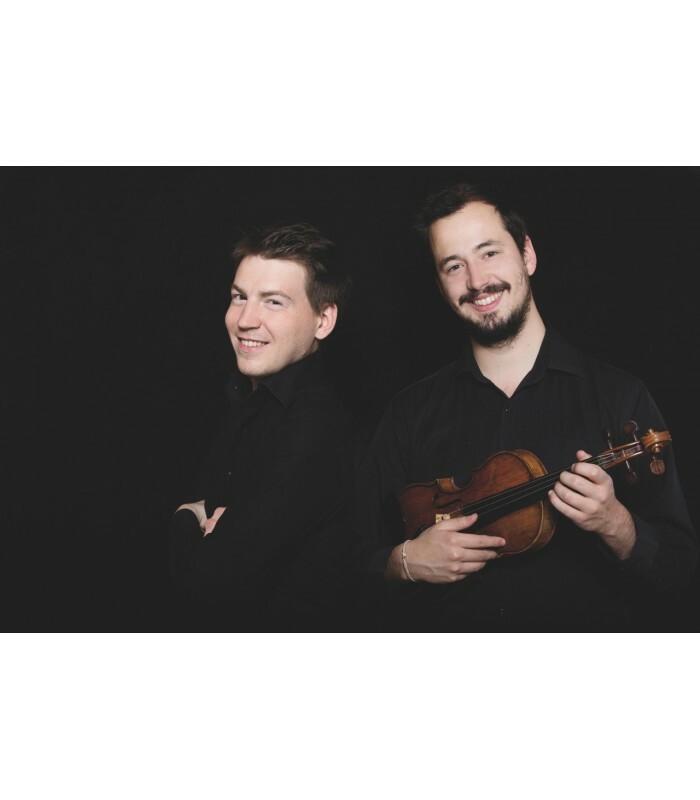 In 2010, they won 1 st prize in the Swedisch International Duo Competition. 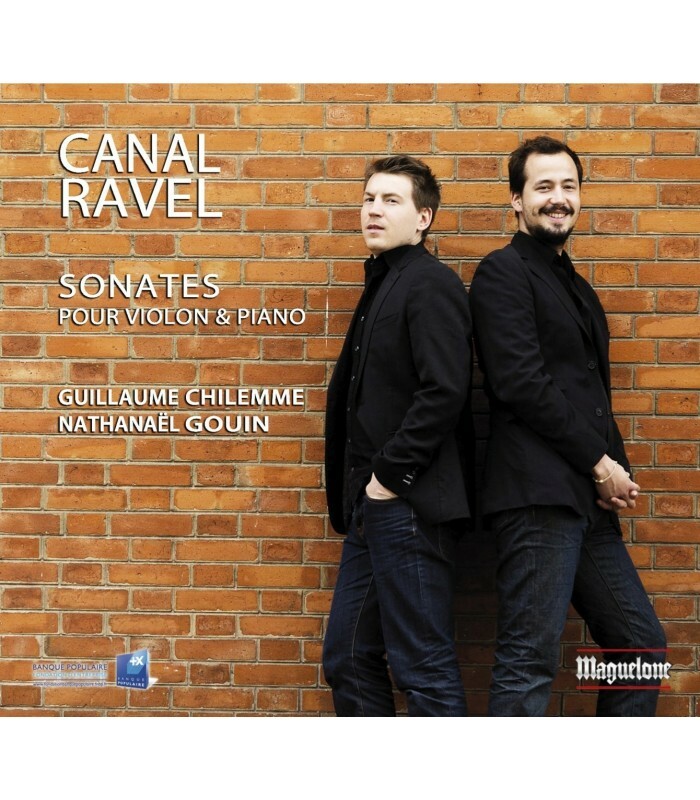 They make us discover the Marguerite CANAL Violin and Piano Sonata, composed in Italy during 1922 whilst living at the Villa Medici, after receiving his Grand Prix de Rome. This is a perfectly balance work, and one which in itself could represent many facets of the personality of the composer’s personality: reserve and passion, lyricism and poetry.